Unlike humans, dogs do not tolerate salty foods well. Most of the commercial dog food products are bland and contain very little salt. There is a reason for this. Dogs only need a tiny amount of salt for their bodily functions. Further, when the salt levels are high, they are not always able to excrete sodium as efficiently as humans do. This can quickly lead to higher than normal levels of salt in the blood, a condition which is known as hypernatremia. One of the most common causes of hypernatremia in dogs is water deprivation. As long as a dog is given easy access to fresh clean water and the salt-regulating mechanisms of the body is intact and functioning, salt poisoning is unlikely to occur. 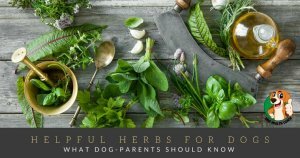 How common is salt poisoning in dogs? While the exact numbers of dogs that develop salt poisoning are not known because many pet owners never bring the dog to the vet for treatment, the numbers are not minuscule. Vets regularly have to deal with salt toxicity in dogs in most cities. Almost every breed of dog is susceptible to salt toxicity. The amount of salt that can kill a dog is roughly 3-4 grams/kg of body weight. What are causes of salt poisoning in dogs? In general dogs can tolerate moderately high sodium concentrations in the diet as long as they are offered fresh water. If the fresh water is limited, the sodium builds up in the body. Other reasons for salt poisoning in dogs is overcrowding of dogs, medicated water, frozen water, drinking seawater or ground water containing high saline, and new surroundings. 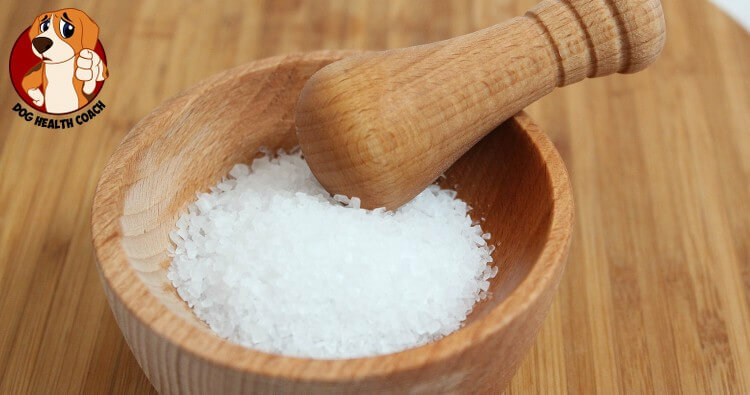 Another common reason for salt toxicity is kidney failure; the kidneys are responsible for excretion of salt thru the urine; If the kidneys fail, no urine is made, and the sodium remains in the body. There have also been a few reported cases of excess salt in certain processed dog food products; thus owners must buy premium quality dog food from a reputable dealer and make a habit of reading product labels. What are the symptoms of salt toxicity in dogs? For the home owner it is not possible to know if the dog has salt toxicity, but if the dog appears lethargic and is having muscle tremors or seizures, it is important to go to the VET ASAP. How is diagnosis of salt toxicity made in dogs? The best test is to measure the levels of sodium in the blood. This test can rapidly tell the vet the level of sodium and what type of treatment regimen will be given. How is salt toxicity in dogs treated? Once the diagnosis of salt toxicity is made, the treatment is to first remove the offending agent and hydrate the animal. Fresh water is provided initially in small amounts but at frequent intervals to avoid exacerbation of symptoms. In some cases the dog may be lethargic and weak, in such cases, the dog may require intravenous hydration with a sugar solution for a few days. Sometimes the vet may place a tube down the stomach and administer fluids slowly. However, this method also risks aspiration into the lungs if the dog is unconscious. Furthermore, the animal needs to be monitored for clinical signs of improvement. Generally, the use of drugs to induce vomiting is not recommended. If treatment is prompt, most dogs will start to show signs of improvement within 2-4 days. However, the sodium concentration should be lowered gradually— too rapid dilution of sodium can lead to swelling of the brain tissues. The VET will monitor the levels of sodium with repeated blood tests. If the dog has swelling in the brain, the vet may administer a corticosteroid. How much salt do dogs need every day? Generally, most healthy dogs only need 50-100 mg of sodium per day. Dogs that have heart failure may require a lower amount. Your vet will be able to tell you the correct level of dietary sodium needed by your dog. How can you prevent salt toxicity in dogs? Before you buy pet food or treats, read the product labels. Avoid feeding dogs human foods that are high in salt like chips, pizza, burgers, pretzels and sausages. Do you have any experiences with salt toxicity? Did we miss anything? Salt toxicity is a serious threat to dogs and if you can help us add important info please let us know! 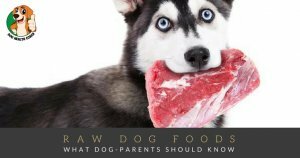 To find out why onions are toxic for dogs, why grapes are a total no go as well and about other foods dogs can’t have, click the links and please let us have your thoughts.